There’s an unmistakable degree of brainwashing that occurs through our love for modern technology. Not the technologies themselves… but the software and media required to transmit these high definition experiences come encrypted with the universal remedy for human desire. A formula refined by over a hundred years of data compiling, the retooling and refinement of the human soul. We’re manipulated by the invisible puppet strings of artificial dependency we’ve been conditioned to since we were children. The allure is irresistible, like moths to a flame, we burn in our own delights. It’s a story about a lonely man who forgets how to live and make decisions without the help and opinion of his Television. 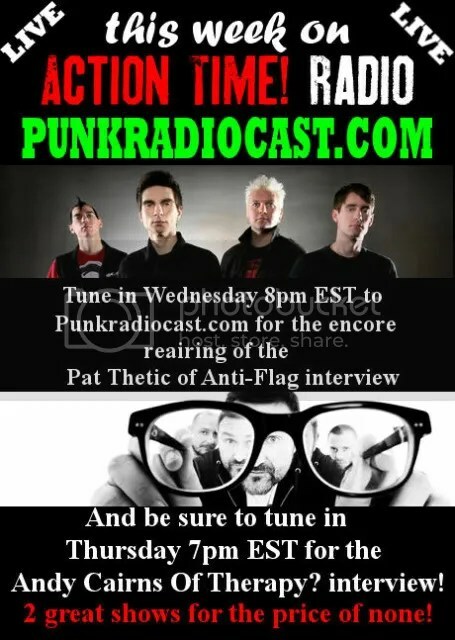 A Super Anti-Flag Fan episode of Action Time! Radio. Anti-Flag drummer Pat Thetic proves to be an amazing guest who enjoys talking about the history of Anti-Flag and give the listeners the story behind every single song we play! 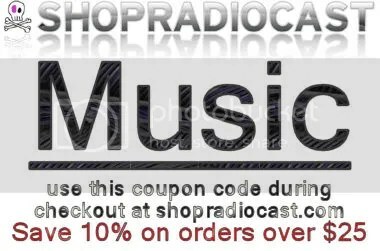 Save at shopradiocast.com when you buy Anti-Flag merch!